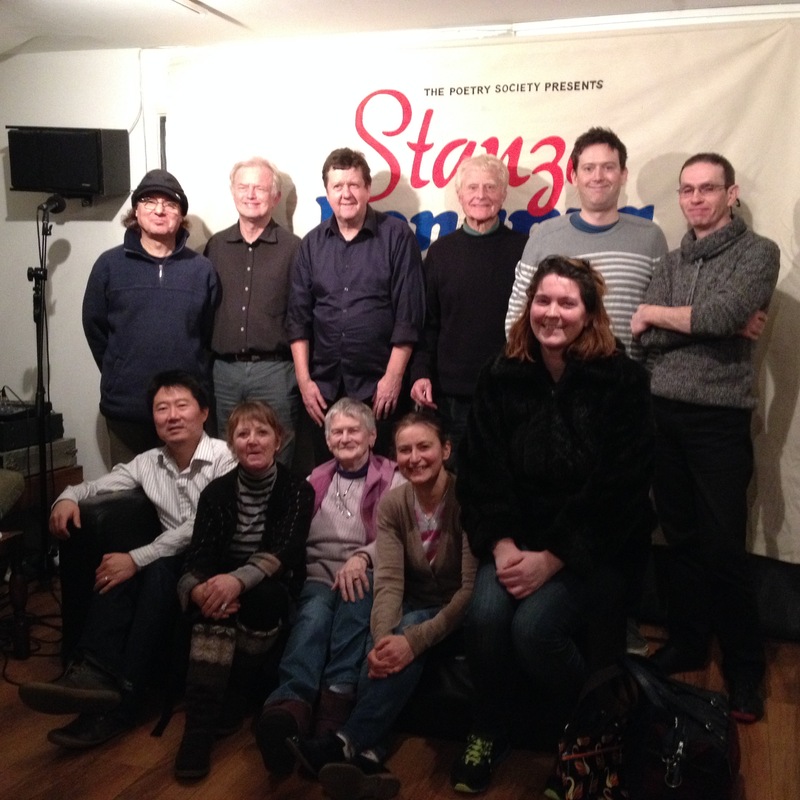 The Enfield Poets stanza group made their second appearance at the Poetry Cafe in February, performing alongside a brilliantly entertaining and engaging team from Waltham Forest, led the by Poetry Society’s own Paul McGrane. It was a wonderful evening, enthusastically supported by a large and friendly audience. The Enfield Group delivered six fine sets from a very diverse and interesting group of poets, including Louis Cennamo (back row, far left), Terry Jones (back row, second from left), Keith Lockwood, giving an amazingly assured first live reading (back row, third from left), Alan Murray (back row, far right), Mary Duggan (front row, second from left), and Irene Richards, the newest member of the group (front row, third from left). Congratulations to everyone who took part, and many thanks to Paul McGrane for organising these terrific events. Another amazing opportunity to voice our poetry and hear other distinct poetical voices too. What would us local poets do without such an amazing venue and organisers which encourage this international platform: The Poetry Cafe and its wonderful poetry Society. Whose organisers bring the poetry world from every corner and cultural voice to our ears! Great fun night, free and welcoming. Thanks for sparring with us Waltham Forrest! Hoping to be at your WW1 poetry event and its themed open mike 27th Feb E17 9NH 7pm. Also a grateful thanks to Alan Murray’s dedication in organising our entry to it again. I wish I’d seen this event earlier in order to attend. Sounds like a really good evening enjoyed by all!